Celeste is a psychic in the small town of Gloryville, Texas. She lives a simple and quiet life. That is…until a small sailboat brings her into the middle of a murder investigation. When is restaurant altercation creates a big business boom, Celeste finds that she has more on her plate then she can handle. That is when a blessing in the form of Emma seems to fall in her lap. But when all the pieces of the puzzle start to lead in a completely different direction, she realizes there is more to this mystery than meets the eye. Can Celeste figure it all out time, before the danger find her? This is the first book from this author that I have read. I found that to be very enjoyable read and look forward to more like it from this author. This book was a very complex, but cozy mystery. Written with a strong female character lead, Celeste is very confident in her abilities as a psychic and it shows in her character’s personality. I love how she handles the non-believers. Especially the man who said using her gift to make money was basically a sin, yet she pointed out that he used his gift of a green thumb to make money. How was that any different. She handles each person with a calmness that is extroidnary. She is an amazing woman. All the characters in this book were interesting and well-developed. Emma will be a rising star if the books continue. As Celeste has admitted that she is very powerful and is bound for great things. Overall the book was mysterious and intriguing. Written at a very steady pace, the book is never rushed and was well thought out. The book contained useful information in regards to the understanding of a psychics world. Providing a realistic view of the main character and plot of the book.￼ there were several twists and turns to the story that will keep you guessing until the very end. The ending of the book it’s left open for another addition. Let’s hope that we get to see more from Celeste and the gang. Linda was born in Sanford, Florida. Her family moved to Daytona Beach before Linda started grade school. It was a wonderful city to grow up in and Linda had the opportunity to meet people from around the world. She was a published poet before she started High School. Writing took a back seat to travel and then family until she was in her fifties when she decided to publish a book about her and her husband’s haunted house. “Hill House Manor: The Guest Book” is available on Amazon. Then she was inspired by her grandson, who was afraid of ghosts at the time, to write a ghost story for children age 8 to 12. You’ll find “Branden’s Ghosts” for sale here on Amazon. Her next venture was inspired by a village in Africa in the country of Kenya. This village is a three hour walk from fresh water. They have no electricity. When her freind, Catherine told her about the village and the school she was helping to promote, Linda was compelled to write a book for the children in that school. This was a labor of love and all profits go to the school. You can find the book here on Amazon as “Sirere’s Calf”. In 2014 Linda decided to get serious. She joined a writers club and was challenged to write over 20 ghost stories. She found an audience on Facebook. She was further challenged to write a novel incorporating ghost stories with the paranormal and psychic to evolve into a murder mystery. 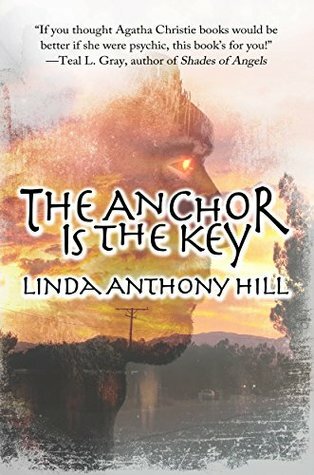 “The Anchor is the Key” is available here on Amazon in paperback and Kindle version. Linda lives in Texas with her husband Del. 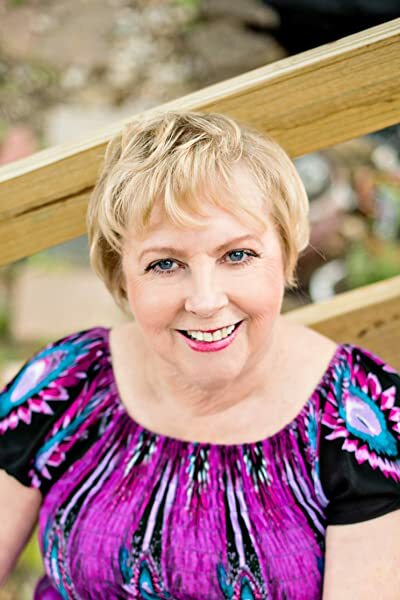 She is retired from Dental Technology and spends her time working on her next book “The Spider House”, and enjoying her 3 grandsons and, of course, giving tours of the infamous Hill House Manor. *Author bio and picture credit Amazon Author Page. This entry was posted in Book Reviews, Cozy Mystery Review Crew, Happy Release Day and tagged September 2018. Bookmark the permalink.